Hulu has a lot of content — with thousands of movies and TV series, there's bound to be a few titles here and there you simply don't like. If Hulu is inexplicably recommending garbage you don't want to watch, there's a new way to stop that from happening. Announced on May 17, Hulu's new feature offers users a simple way to axe titles from your Lineup that don't interest you. While it does appear to be a slightly permanent solution to the issue of irrelevancy, you can still find all rejected titles by searching for them. 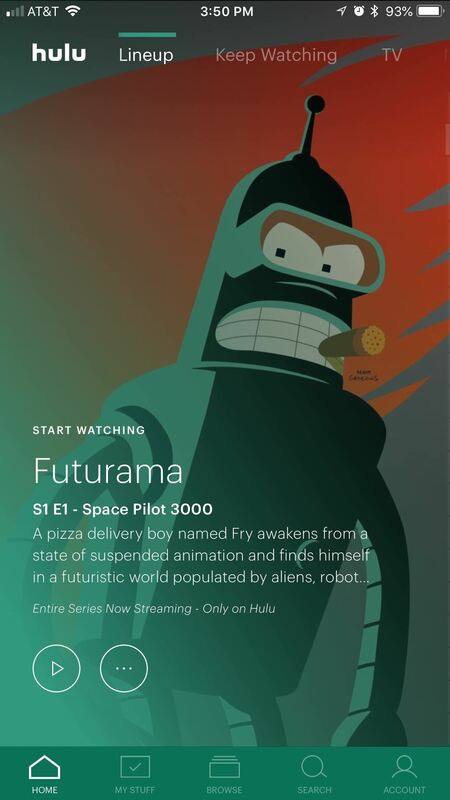 If a show or movie that you don't like pops up when scrolling through your Hulu Lineup, you can simply tap "Stop Suggesting" underneath the title. 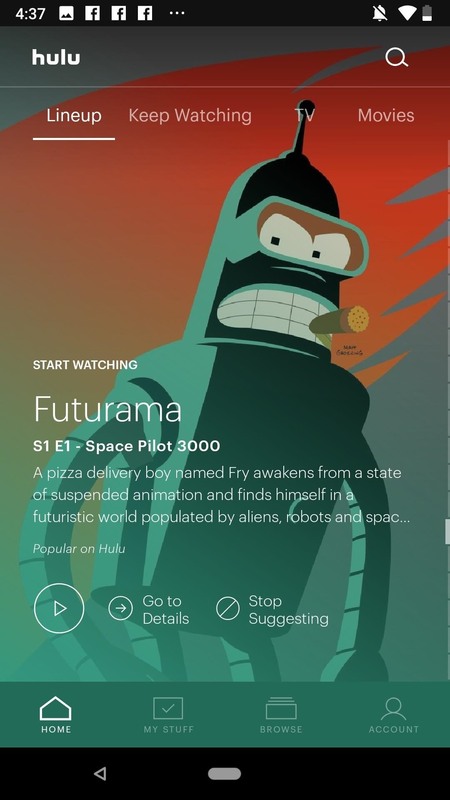 Tap "Remove" on the following popup, and Hulu will never show you that title again. Over time, your lineup should, for the most part, recommend only titles that interest you. (1) Previous version. (2) New version. As previously stated, you won't be able to undo this option once you tap "Remove." However, "Stop Suggesting" just excludes that title from your Lineup. It will still be available via search, so if you have any doubts, it'll be there for you to return to. "Stop Suggesting" appears to be just one of the ways Hulu is looking to make their users' viewing experience better. However, so long as they don't cut the titles that Netflix does, users will probably put up with a few inconveniences here or there.